Midwest winters can be hard. The last bit of green obliterated by the snow. The beauty of snow riddled with soot deteriorating into slush. Fierce nights. 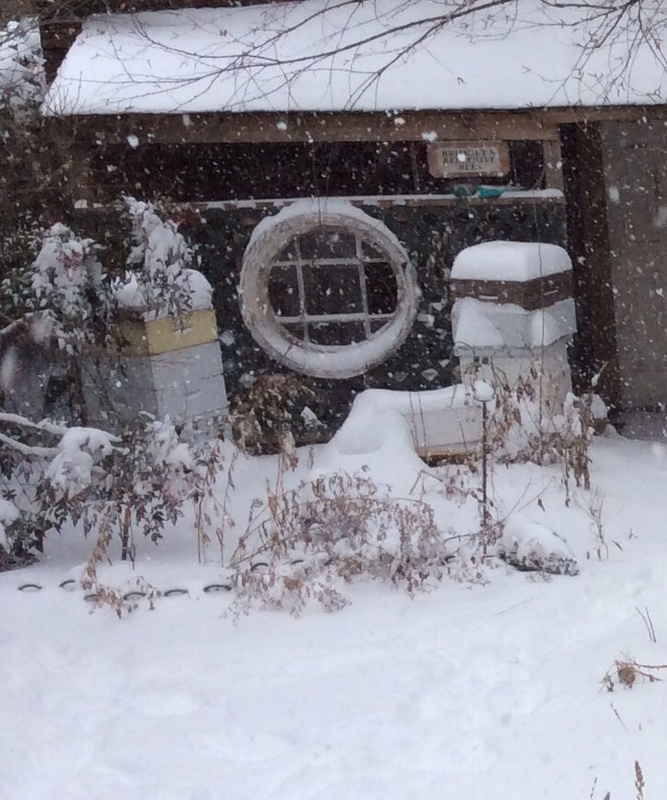 As I glance out window as temperatures hover around zero I see the bee hives buried in snow. All during the fall I had chastised myself for not getting around to taking the honey from the hives and now I hope that might be a saving grace. The weather mirrors my life as I find myself in the role of caregiver while a family member recovers from surgery. Even though I know this will pass, patience is increasingly in short supply. Daylight is limited, but it is time to take a moment to see. Sometimes I need only stand wherever I am to be blessed. A handwritten letter arrives, bringing me back to an afternoon spent sitting with a nun in San Antonio who has generously become my friend even tough her days are precious, whisps of words carrying her strong spirit. 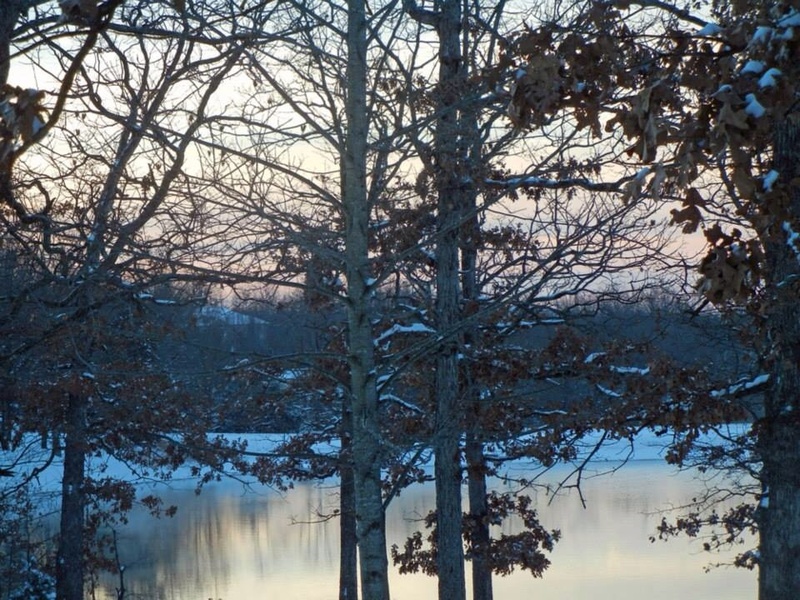 A blue heron flies over a lake at my friend’s new country house. My daughters call, one during the day to invite me to a spontaneous lunch; the other near midnight just because she knows I miss her so. Sadie gives me a sleepy Labrador wag from the sofa. I dig my fingers into her rough coat and tell her the story of the first dog who comes to the first fire. I pick up my knitting. The next day the weather breaks and temperatures skyrocket to the 50s. And the Bellerive bees miraculously appear flying in and out of the hive.